Jungle Red Writers: Picky Picky--Liver Balls? on the planet. 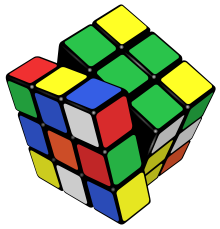 Over the fourth of July, in fact, he explained to me (he's 10) that he had taught himself to solve the Rubik's cube by learning that the cube made a different sound on each axis. Huh? I said. It's about being a picky eater. He will only eat--not totally "only" but essentially--mac and cheese. He is a connoisseur of it, and will eat many different kinds, but that's about it. Bagels, okay, carrots, if they're the right kind, some muffins, including English. Peanut butter. And any kind of candy. He's clearly healthy, he's happy, he's strong and has tons of energy. So, whatever, someday he'll eat. And I must say, I had a little trouble with tuna salad when I was a kid--I don't think I could bear to even TRY it until I was 7. Ham salad, still never. Baked beans, never. (I know they're awful, I just do.) Scrambled eggs, weirdly, now a staple, took me a long time to try--I think that was a 10 years old thing. Are there foods you won't try? Or didn't for a long time? Are you a picky eater? Or living with one? Why do you think that happens..and is there hope for my darling grandson? ROSEMARY HARRIS: I don't really like meat - but that doesn't mean I didn't try the Genoa salami in Italy. 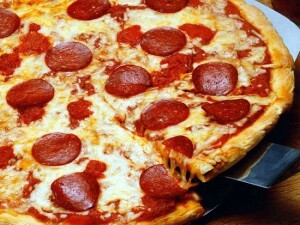 Or pepperoni pizza once a year. No soft shell crabs for me, thank you very much. Or lobster. Grandson sounds adorable. Send him over so he can help me with my computer! DEBORAH CROMBIE: Hmmm. I wouldn't eat canned peas as a kid. I remember that as having been a matter of considerable dissension at the dinner table. But I ate EVERYTHING else, from oysters to sweetbreads to calves brains. Okra. Spinach. Even liver and onions. So I can't imagine why my mom made such a big deal about the damned peas. Something along the lines of "You won't be accepted in polite company if you don't sample everything on your plate." Ramsay--Throw in the food processor just barely blanched green peas, mascarpone cheese, fresh ground salt and pepper and some yummy olive oil. Process until smooth-ish. Serve on toasted ciabatta with a slice of fresh mozzarella, fresh grated Romano cheese, and a drizzle of olive oil. Nix on the calves' brains and liver, though. LUCY BURDETTE: We didn't have much choice as kids, though my mother did not make us eat fried liver, we got hamburgers on liver and onions night. I still remember the first time I went with my father on a business trip (could I have been 7? ), he ordered for me: spaghetti and liver balls. Liver balls--what was he thinking? I knew the difference immediately and cried on the phone to my mother that night. JULIA SPENCER-FLEMING: That's one clever ten-year-old, Hank. Start the savings fund for MIT right now! HANK: I know. I think of it every day. It is SO elaborate! Anyway--picky eater? JULIA: I don't recall being much of a picky eater. My mother had an "at least one bite" rule which, though I probably complained about it at the time, served me well. We also lived and traveled in a lot of different places with different culinary traditions, and my mother made sure we partook of the local food. As a result, I had reasonably adventurous tastes by the time I was an adult. Thanks, mom! I have, however, had that kid. The Boy was SUCH a picky eater as a child. 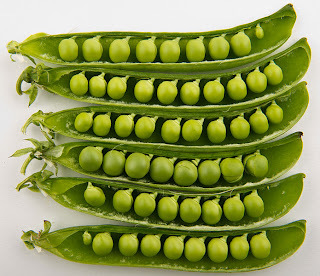 Talk about peas, Deb - he once gagged up a teaspoonful we required him to taste. For years, I pureed vegetables and slipped them into the few things he would eat, like spaghetti sauce and meatloaf. If a casserole had ONE ingredient he didn't like - say, mushrooms - he would carefully remove each and every offending fungus before chowing down the rest of the meal. My mother pointed out that most kids simply outgrow their eating quirks, and she was right. I have no fears that he'll starve or become malnourished at Trinity this fall. As long as they only serve peas on the side. RHYS BOWEN: My son was horribly picky as a baby. He refused to even taste egg, and it turns out he is allergic to eggs, so smart kid. My husband forced him to eat scrambled egg once and he threw up. But there was a time around his second birthday that he wouldn't eat anything I put in front of him. His doctor said that no child has willingly died of starvation so I should put food on his tray and if he pushed it away, I should say "We're done" and then give him nothing until the next meal. I did worry and made him shakes with yoghurt and banana, but he soon started eating normally. We always insisted our kids try everything and my daughters have done the same, so that we now have a nine year old who adores sushi, they all like spicy food and we can take them to Indian or Thai. Thirteen year old Lizzie won't eat lamb (she loves animals) but apart from that they are easy to feed. I grew up in the post-war years eating all kinds of offal--liver, kidneys, heart etc. I find I can no longer face most of it, but I will eat sweetbreads at a French restaurant. The one thing I've never tried, and won't try is tripe. Sorry but it looks too icky. And lobster, soft shell crab? The more the better. Canned peas, canned green beans, canned spinach: Ick ick ick. 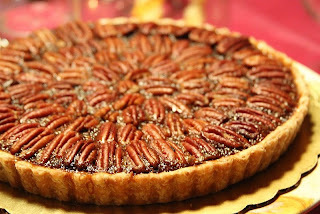 Another thing I really don't like: pecan pie. Yup. Too sticky sweet. Go figure. ROSEMARY: I think I can safely say I've never been offered liver balls. HANK: Yes, indeed. I mean, no indeed. What's your verdict, Reds, on Liver Balls? :-) (I don't even want to tell you what happened when I googled for a photo of liver balls.) And Hallie, I've never tried pecan pie. I know it's awful, and probably grainy and sandy. But Debs, that pea thing sounds divine. Okay, okay, Are there foods you won't try? Or didn't for a long time? Are you a picky eater? Or living with one? Why do you think that happens..and is there hope for my darling grandson? Of course there’s hope for that darling, smart, picky-eater grandbaby . . . and, I must say, at least macaroni and cheese is a yummy food . . . . I grew up with that eat “what’s on your plate” rule, and all our children ate really well when they were young . . . . Both girls ate most everything without complaint when they were small . . . loved sushi then and now; liver, bacon, and onions was and still is their favorite meal . . . one did stop eating eggs, however, after a helpful relative told her if she hadn’t eaten the egg, it would have been a baby chick [and she still doesn’t eat eggs] . . . .
Around here, the quirkiest eating habits are not in regard to what gets eaten; rather, it’s how it gets eaten --- which means almost everything you can mention will make it to someone’s plate . . . . I, however, will not eat anything that even begins to resemble cereal, although in a pinch I can choke down half a handful of Cheerios if I have to --- as long as they haven’t gotten anywhere near a bowl of milk . . . we don’t do creamed, chipped beef [I’d tell you what my husband calls it, but this being a family-friendly site, I should probably refrain] . . . oatmeal doesn’t make it into my mouth, either, although all the rest of the gang enjoys it . . . .
As for most everything else, it’s all good . . . .
Two of our kids won't eat any orange vegetable. No carrots. No squash. No pumpkin pie. No sweet potatoes. They crave the foods I can't look at without feeling sick. Canned spinach. Fried chicken livers. Head cheese. I wouldn't eat tuna when I was a kid. I could t understand why anyone would make a sandwich with fish. When I was in high school a friend had me over to her house for lunch. Her mother made us tuna sandwiches and set a special table for us in the game room. I had to eat it. I was glad it came with chips and coke. I'm feeling a little queasy now. I didn't beans when I was a kid. I used to pick them out of my chili. That's not easy. Reine: I STLL pick the beans out of my chili. indeed, it is not easy. BUt it is worth it. Although my sister used to eat only white food: bread, potatoes, pasta. Sugar. Lora: yes, the things we do for love! And seriously, I have wondered what will happen win he get old enough that he wants to impress girls. I bet things will change..it'll be interesting. Joan, I'm sorry, but NICE relative. Sheesh. One sentence, and boom. A whole food group is annihilated. SO funny. NO OATMEAL?? Oh, I LOVE oatmeal. One of the most adventurous things I've ever eaten was freshly born eels cooked in saffron--a specialty of Pisa. Tripe is a favorite food in Rome--it's always in the supermarket meat bins. I ate it once in Florence. I asked a woman sitting next to me at a table in the market what she was eating. She told me tripe, and offered me a bite on a piece of bread. It was actually quite tasty. When I was in Florence a couple of weeks ago, I asked a man selling sandwiches made from it how it's made. His recipe was very simple. Cook some onions. Add the tripe cut into strips and let in brown a bit. Add tomatoes and cook about an hour. I may get the courage to look for a more precise recipe and give it a try soon. We ate a lot of different foods growing up. Every other Saturday we'd all hop in the car and go shopping...to 95th & The River for smoke chubs and fresh fish, to Roseland for Italian Beef and hard rolls (sold by the pound...the beef I mean. We took our own container and came home to promptly eat it all for lunch!). I refuse to eat veal (do not get me started). Strangest food I ever tried was on our first trip to Scotland...haggis. A tad on the heavy side but surprisingly good. I too was a very picky eater as a child. Some would say, I am still very picky, but it is vastly better than it used to be. It's not a bad idea to suggest that kids try something, but if they really fight it, I don't see what the point is. Something tells me that most parents wouldn't want to be forced to sit at the table to eat their least favorite food or else. Most of the things I don't like, I have at least tried, but that came later in life. Mushrooms - why would anyone want to eat something that is called fungus and grows on the side of a tree and tastes like dirt? Just not my thing. More for the rest of you. Deb - that pea spread sounds really good and I am helping a friend plan a garden wedding, so I am going to try that to see if it works as an appetizer. Thanks! PAtricia, please tell us more about your food adventures in Italy! DO you live there full time? As for cooking tripe: first you get a cow, and then..oh. Yeesh. And one of my weird "likes" is Campbells chicken gumbo soup. Do they still make that? SHould we do a soup blog? Kristopher--the mushroom schism is unconquerable. Your either like 'em--or you don't. Well, however, now that I think of it...I don't really like the slimy kind. But I do love the fragrance of mushrooms cooking in butter! No lima beans for me, can't stand the texture. It was the one vegetable I was excused from . . . Mom finally told me, in her final years, that she had allowed me to skip limas so there would be leftovers the next day for her lunch. She used to tell about baby me, picking the peas out of my veggie soup, squishing each with "I don't like you." I learned to like them, though fresh are way better. Mom worried to our doctor that we wouldn't eat veggies; he said as long as we ate fruit, we'd be fine. I liked and still like liver and onions, but I won't cook beef liver. I've read that we shouldn't eat much of it, but the occasional chicken liver couldn't hurt, surely. My CSA farm produces okra, and it does seem to be one of those hate it or love it items . . . I'm with a couple of you on the mushroom thing. It creeps me out to eat something more closely related to athlete's foot than to a carrot. (I'm willfully ignoring other fungi like yeast, though.) I wouldn't eat blue cheese until recently, and now I love a good Maytag blue with fruit. 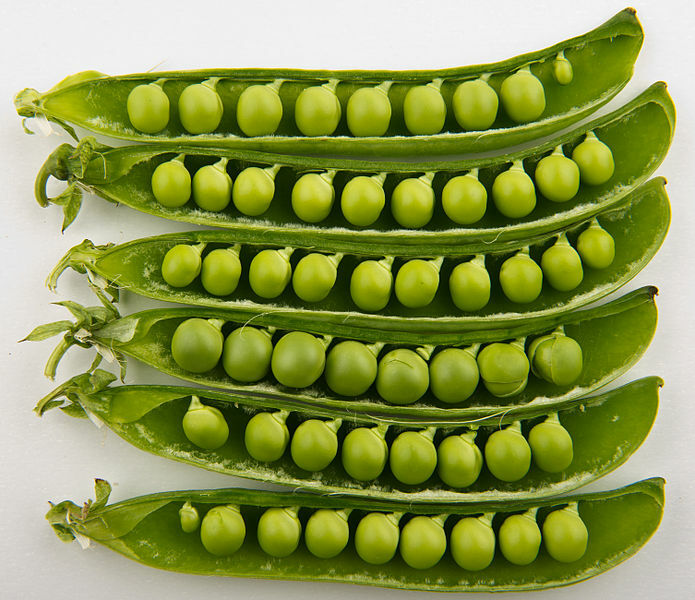 I went to college with a girl who wouldn't eat peas because she didn't like the way she felt in her mouth. That's the same reason she didn't drink water from the fountain in our dorm, too. I love brauschweiger (liver sausage), but won't eat liver. My family tells me that I loved liver as a child, but when I was about 5 my dad was frying some liver and I got too close and was spattered by the grease. Nothing serious, but I refused to eat it from that point forward. I once sat at the table for 2 hours after dinner because I wasn't allowed to leave until I ate it. I won, and I still won't touch it, or any other organ meats. I am absolutely certain sauerkraut is vile, despite never having tasted it. It smells bad. I wouldn't eat beans in chili and my dad and I would go round and round on this. I'd ask mom to wait to put the beans in until after I'd scooped a bowl, and he'd insist that the beans flavored the chili and must be included from the beginning. Yeah, he was one of those parents who were determined to force the kids to eat stuff they didn't like. Now I find that the KIND of beans makes a huge difference. Mom always used red kidney beans, which are enormous and have a thick skin and pasty insides. Navy beans and black beans are smaller with thinner skin so they aren't as repulsive. However, I couldn't stand split pea soup for decades, but every couple of years I'd make a new recipe to see if that was one I could tolerate. My cousin happened to be visiting during an experiment, and when I tasted it and said, "Nope, still gross," she suggested I add a spoonful of vinegar to my bowl. Who knew balsamic vinegar could turn sweet green library paste into delicious food? My parents raised me on a diet of overcooked spaghetti with ground beef or venison, Chef Boyardee canned junk, Kraft Mac n Cheese, and Stove Top. My grandmother tired feeding us "real [Southern] food" but the leftover bacon grease and extra bird parts tended to gross me out. We had a "eat everything on your plate" rule, but I had the sort of stubborn streak that made them eventually give in because things like sleep, school, and leaving grandmother's interfered with follow-through. In my twenties and early thirties, I tried all sorts of stuff from sushi to lamb, unfried vegetables, stuff that grossed my mother out to no end. I never would and never will touch a ham salad. It looks like Play-doh vomit. I also never developed a taste for eggs. As a kid, I always just coated them in ketchup. Later, salsa and hot sauce. Now, I've discovered tofu makes an egg-cellent (had to, sorry) substitute in things like quiche and vegan egg replacers work in baking. And for the past five years, I've been vegetarian and mostly vegan, which means my chili is all beans. Sorry. Creamed corn, lima beans, and canned peas...the bane of my existence. (Succotash was something devised by the Inquisition, although my Aunt Corrine would make a divine succotash without the creamed corn OR the Lima Beans.) Little Debbie snacks; they always coat the bottom with paraffin. Who likes eating wax with your cake, really? I can do without kid's cereal, the Chocolate Frosted Sugar Bombs type. And grasshoppers. Ate a grasshopper once. Didn't like it. Storyteller MAry, I can just hear you, fighting with the lima beans!And I'm with you--yuck. They have that funny shape, and inside I know they are grainy and pasty. I can POSSIBLY see the POSSIBILTY that a fresh baby lima bean MIGHT be good. Brussels sprouts, though. FABULOUS. Roasted in olive oil and sea salt? They've come a long way from those horrid cabbage-smelling things. My captcha word is UGAROBUS, which I think is a type of dinosaur. Sandi: "It creeps me out to eat something more closely related to athlete's foot than to a carrot"? Really, is that true? I'm tweeting it. nelizadrew--you and me, sister, about the ham salad. It deost even sound like a good idea, you know, ham and mayonnaise? But I was also fond of Beefaroni. And Catalina salad dressing. Oh, orange stuff. Reine's kids would be horrified..
oh Hank, your grandson! I love the grandson stories "almost" as much as I love the Jonathan stories. You have delightful men in your life. I was the pickiest eater on God's green earth. I still hate peas (I think they taste like dirt). But I loved breakfast - always! and still do, especially served for supper. Scrambled eggs with a breakfast food called Scrapple. Loved it then and loved it now. It was Scrapple in Maryland, it's called Livermush in North Carolina. Donald almost dies when I order it. But fried liver and onions . . . noooooo. And liver balls??! Never ever heard of them, so have never had the opportunity to turn them down. Debs, what a sophisticated palate you had as a little girl!!! Mine is still about as unsophisticated as one can be. I'm still a fan of the kind of cooking our moms did - comfort food. Meatloaf and mashed potatoes with gravy, fried chicken and mashed potatoes with gravey, pot roast with potatoes and gravy, you get the idea. As I mostly want to win THE WRONG GIRL, I will share that any green beans or French beans make me gag after being forced to eat them as a child once (my mother loved them) and spitting them up. I'd rather starve than eat them. I don't like organ meats like liver or kidney. I once ate venison just to say that I had tried it, but I never need to eat it again. And liver balls sound like a device of torture to me. Jerry, let's talk aobut creamed stuff. Spinach? Yes. Corn, not so much. But fresh corn? It COULD work. Little DEbbie snacks have wax on the bottom? I'm going to go look. Kristopher - you may have ruined mushrooms for me. Calamari. Everyone in my family loved them. I thought they tasted like rubberbands with tomato sauce on them. Hank, don't you eat fiddlehead ferns? I should try them one day. RO, they ARE rubberbands with tomato sauce. UNLESS they are dep fried, in which case they are delicious rubber bands. Got to say, though I'd EAT tripe but I'd ever cook it... Another blog another time: what won't you cook. Okra is in that category. Too slimy. I'm with you on the ham salad, Hank. Ey-yew. I'm also not a big fan of organ meats, not matter how they are cooked, with the exception of liver pate. It's a texture thing. We visited last weekend with my 30-year-old nephew who I believe subsisted entirely on cheapo, five-packages-for-a dollar ramen from ages 18 - 25. Now the father of an adorable 2 1/2 year old and a newborn, he has become a whole foods evangelist. His older daughter eats every fruit and vegetable you put in front of her and she is absolutely crazy about olives. Lima beans, beets, and liver are the scourge of the earth. When my son was a baby he loved strained spinach and hated blueberries! Sorry Rosemary, didn't mean to ruin mushrooms for anyone. But it's kind of true, no? I ruined Caesar salad for my brother when I told him that the dressing (by design) must include anchovy paste. Told him to never order it in a fancy restaurant, as he is likely to get the salad with lots of whole anchovies on top. Now he won't eat it at all. Oops. I also have a really hard time with foods that still look like the animal they were when they were still alive. So shrimp or cornish hens take me a moment to get past. I had a son who would only eat white starchy things and nitrates: bacon, sausage, hot dogs, ham. And also gagged on that "just one bite" thing. Now at 24 he is the most fabulous cook and eats everything. Also grows most of it! I love almost all foods, mushrooms, calamari, and sashimi included. But I cannot eat raw oysters - ewww - and tripe sounds kind of icky. And I don't care for beets but they aren't in the WILL NOT EAT category. On the other hand, I'll eat just about anything plant-based (though I can't say I'd eat Limas unless you pay me). My husband, however, will eat all meat products but few plant ones--he doesn't like mushy. Get this: he's never eaten a banana in his life. And the once he ate watermelon, it came right back up. We're like Jack Sprat and his wife, except about animal/plant products. When there are foods that don't like you -- in my instance most grains and dairy -- you do get something of a reputation as a picky eater! On the other hand I don't think I ever met a vegetable I didn't like. OK, I take that back, I can't tolerate canned peas or beans (as in green or yellow beans). But why on earth would you eat canned (or even commercially frozen) vegetables when lovely fresh(ish) ones are available year round in the supermarket? I don't consider myself a picky eater simply because there are so many things I will eat :) but there are definitely some things I won't try - mainly offal and game meat. My brother on the other hand was a super picky eater. He's 30 this year and my mother and I just about died when we found out he'd started putting lettuce on his sandwiches! He seriously had the most limited diet growing up and refused to eat anything other than cheese, pepperoni, chicken, and steak! Dad used to make him eat carrots with every meal to make sure he was getting veggies and as soon as he was old enough to learn, he had to cook his own food if he wasn't eating what the rest of us were. The summer after my high school graduation, I spent ten night shifts working in a corn canning factory. I had loved corn before then, but my three friends who worked there with me didn't eat corn again for years. I will now eat corn on the cob, but never ever canned or frozen corn (I've seen it happen). I was willing to eat octopus until I discovered they are friendly, curious, intelligent. Now I not only won't eat them, but will lecture others about not doing so (consider yourselves lectured). Squid, on the other hand, are nasty-- and delicious. Bring on the calimari. I was quite adventurous in my youth, eating anything I'd ever read about. I loved escargots-- but then I took up gardening. I won't eat anything that'll leave that kind of slime trail. (I think we only eat them for the garlic butter anyway). The only other thing I won't eat-- can't be near-- is anything with enough cumin in it that it is discernable. So I can eat chili if it has a ton of other spices, and curry too, but not if I can taste or smell the cumin. And I may be the only person I know who doesn't like blueberries. They creep me out. And people are always giving them to me as some kind of a treat. Ick. Aside from that, I'm pretty much an omnivore. There are foods I'm less fond of, and foods I'm more fond of, but keep me away from cumin, blueberies, octopus, snails and processed corn. And most pie crust (although I'll often eat the filling). Just reread my comment-- should have read "I and my three friends." Until you've spent almost two weeks up to your ankles in corn juice, you don't know how turned off to a food you can get. I was a VERY picky eater. I still sometimes make choices on a tactile basis--what the food is going to feel like in my mouth. I know, weird! But I did grow out of ALMOST all of it--I used to hate the fresh avocados from my parents' tree AND the just-caught salmon a friend would bring over, and now I'd eat salmon & avocado every day if I could. So, yes, my son is picky, but I actually get it, and I don't worry about him--he'll grow out of it, too. The funny thing is, although we don't keep soda in the house, we'll buy it for parties and--as food-finicky as he is--he will try ANYTHING in a soda bottle. Go figure. Kristopher, the pea spread recipe is meant as an appetizer. The book is lovely (Gordon Ramsay's Sunday Lunch) btw. I think my comment in the blog got minched (is that a Harry Potter word, from when some part of you doesn't make it through a spell?) It was supposed to read "Gordon Ramsay's Sunday Lunch" and then at the end of the recipe description, "To die for." Not, "Gordon to die for." Still laughing, Hank! People's food preferences are so weird and interesting. My father HATED cucumbers and beets. He couldn't even stand to have them on the table. Loved raw (or cooked) oysters, crawfish, sweetbreads... My mom hated watermelon, and wouldn't eat anything with cooked banana, although she made sandwiches with banana, peanut butter, and mayo. Which were, actually, quite good. On the "eat everything on your plate" thing--many of our parents grew up in the Depression, or, in Europe and the UK, during rationing after the war. You can understand why they felt the way they did about wasting food. Being picky about what we eat is a luxury we take for granted. PS My captcha is romptimi, which sounds like it might be delicious! Lima beans in a casserole dish. Place bacon on top. Cook for 20 minutes, turn bacon over, cook twenty more minutes - do this until bacon is cooked through. P.S. 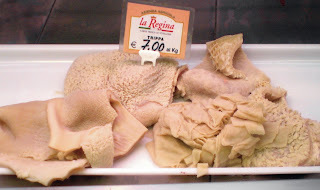 tripe always tasted like vinegar soaked inner tubes - and it took all day to chew one bite! I am pretty much an omnivore, but I have never enjoyed a glass of milk, ever (even during the year my own Holstein provided the milk). As a child, I had to sit at the table until my milk glass was empty. Ugh. My husband will not knowingly eat an onion or a mushroom or an olive. He doesn't eat white meat chicken or turkey, red tomato sauce, and most vegetables. He's allergic to lobster and shrimp. I call him a picky eater! This week we have our grandsons, and they are a challenge to feed, although hamburgers and mac/cheese seem to work. I imagine a life of gourmet food, and am lucky to have friends and family members who enjoy more variety! I want that book, Hank!!! I can't answer everyone--I am laughing too hard! Brenda--carzy about olives!Weused to put them on our fingers..and eat them on at a time. ANd Mare..how can a person like spinach but not blueberries? That's kind offascinating! Denise Ann, your husband IS picky! Trying to think of anything my husband won't eat. I did have one absolute disster with spaghetti squash..but that was my fault, not the squashes. Becky, I could eat avocado and salmon every day! Absolutely! And yeah, picky though my grandson is, anyting that loks like candy is fine. He'll try ANYTHING! How do they know? There always has to be one person who knows about liver balls, right? I grew up eating German liver dumplings, which I can imagine might translate to liver balls. They're actually very delicate and used in soup. I can't imagine anyone serving them with pasta. They taste like chicken liver. In fact, I even made some last year. (I hear you gasping.) Fear not, I wouldn't serve them to company. I have enough picky eaters among my friends as it is. And they're picky about ordinary things like onions and red peppers and pineapple. Sigh . . . I used to be ho-hum about onion rings until recent years. Now they're a rare treat, because they're apparently not so good for you. My faves come from Ted's Montana Grill. Not only are they fried, but they're salty, too, hitting the Bad for You Daily Double. Likewise, I was ho-hum about the idea of Thai crispy green beans until I brought some home one day for lunch. Our fluffy gray Diva Kitty is normally well-mannered and oh-so dainty, so I left the room with the box of crispy beans to get a beverage. When I returned, she was standing on the table with her nose in the takeout box and her tail happily curled around her back like a squirrel's pouf. I was an only child and, admittedly, a bit spoiled. I remember a period when I was about 6 or 7 and refused to eat anything except pancakes...breakfast, lunch, dinner. My poor mother went through tons of Aunt Jemima pancake mix. I hated and still am not fond of brussel sprouts..they are bitter and nasty. My mother would try to disguise them with a white cream sauce, melted cheese, anything she could to make them palatable. Never worked. Oatmeal was a big no-no. No matter what was added - sugar, cinnamon, milk, sugar & cinnamon both - it refused to go down. There is just something slimy about it. I still make a 4 year olds face when I see someone eating oatmeal (and 4 was many, many decades ago). THAI GREEN BEANS! Oh, Rhonda, I love them! YUM. Krista! Welcome. And we should have come to you in the first place about food--you know everything. Thelittlefluffycat--oh, mos def. Lobster mac and cheese! it's quite the chic restauaant item these days. And I love mac and cheese,too, but not every day. Well, I could probably eat the crispy top of it every day..
John, no way on liver mush. They need to change the name of it, at least. To what, though...? My mother warned me never to order anyting called "chef's special." And Charlie M--you "no-oatmeal" eaters are baffling. NOt even with raspberries? NOw I must say--the idea of adding MILK afterards--as my husband does--is disguting. When I asked him something along the lines of: "How could you DO that?" He said: it's cereal. YOu put milk on cereal. Liver balls sound like they came from that quirky period of gastronomics that included the likes of tomato aspic and fish molds made from canned fish, chopped onions and sour cream. Gaacck. My first husband insisted that I cook all his meals, but he was so picky it was it was imossible to know what to make. He hated chicken, peas, nuts, and almost anything that was not green beans and hamburgers. So boring. His and my daughter used to be nearly as picky, but since her 40th a couple years ago she has been trying and liking a lot of new foods. I am so proud of her. My other daughters, and my grandson, are all very adventurous eaters, having traveled extensively. Grandboy has been eating all kinds of sushi since he was three, but refuses to eat pizza, oddly. And each of the girls had oddball quirks as they were growing up, Hank. I think your little guy will turn out all right. When I was a kid the lunch ladies always insisted on adding some of everything to our trays. They called me Little Bit because that was what I asked for of each food. We were required at home to clean our plates, and that was much easier to do without mounds of food. To this day, I only put what I want on my plate, and rarely--as in once in two or thred years--go back for seconds. But I will try almost anything, including tripe. Which is very bland, by the way, and tastes of whatever it is cooked with. Lima beans... the three of us sat at the table til bedtime. Mom never fixed them for us again. I didn't eat salad dressing until college. So...what do you think about the "stay at the table til you eat it" method? I don't think my mother had time for us to be too picky, she worked every day as a waitress when we were growing up. So you mostly ate what she fixed. I actually liked her liver and onions, but other than that she didn't do many weird by product meals. She did insist that you had to eat whatever was served if we went to someone's house to eat. Not really much of a chore since mostly it was to her various sisters and they all cooked like she did. I did hate fish till I was a teenager and still can't eat it in anything like chowder or soup. Just the thought of fish in a milk soup makes me feel ill.
With the exception of hard boiled eggs I will eat pretty much everything. I've even tried haggis. The Munchkin was never a picky eater, something I attribute to ten months in an orphanage with a very limited diet--and something that still makes me sad. Once we were home she was delighted with so many different foods to try. We have a family policy that everyone is allowed to have one thing they can refuse to eat without explanation and without hassle from anyone else. Mine is hardboiled eggs. My kid's is tomatoes, although she'll eat tomato sauce. Mr. Wonderful's is raisins. Hey, I grew up in Louisiana. If a creature stopped swimming, flying, grazing, digging, or even just slowed down a bit, that meant "Cook me." I heart lima beans, almost more than puppies. However, I hate oatmeal. Sorry, Hank. I'm strictly a grits girl. When I was a kid most canned veggies were awful. Asparagus was probably the worst. I still gag thinking of it. Peas were almost as bad. That anemic green color is not natural. Never tried liver; dad refused to have it and I have continued that policy. Seems like a good one. Chicken livers are bait anyway. And I can't eat sandwiches that are buttered and spread with mayo. A friend's mom made me lunch once in high school and I almost lost it when I tasted that butter. And I agree with the school of thought that says lima beans are disgusting. I am a picky eater, and avoid vegetables unless they're cooked into something like soups and stews, or a casserole like Shepherd's Pie (Yum!) or pot pie. And instead of pumpkin spiced lattes, last fall I found out you could use vanilla yogurt, canned pumpkin (plain), baby spinach leaves, nutmeg & ginger, and a little caramel to make a delicious pumpkin smoothie. It was no Starbucks but it helped tide me over through the holidays. Speaking of, I'm pretty sure it's snack time. (Rest assured that liver balls are not on the menu.) Great question! I agree with Kristopher about mushrooms! My whole family ate fish but me. I must have gotten sick on it once as I don't care for the aroma, taste or texture. I'll eat lobster, but would rather have chicken. I've never had a liver ball, but I like braunschweiger. I've tried haggis (okay), bear (greasy) and beef tongue (delicious, although it does look odd sitting unsliced on the plate). I won't do brains (have you seen the cholesterol content), but enjoy turkey and pork hearts. I like creamed, chipped beef (and even know what it's often called). Love most vegetables, although I'd prefer not to eat asparagus, Brussels sprouts (I apparently don't have the mutated gene that keeps you from tasting the bitterness) or cauliflower. Anything 'breakfast' is completely acceptable. Becky, that's SO strange. Mid-life allergies? Anyone? ANd um, spinach in the latte? Really? Ramona, I still love you. 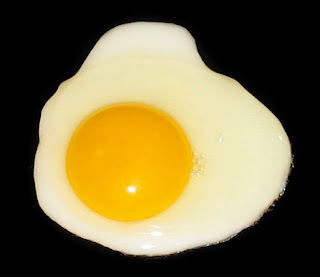 Darlene, I LOVE hardboiled eggs. SO funny. I think they are miraculous. I'm still trying to picture liver balls. When my grandson was visiting he didn't like any of our food. The bread was too white. There were no sprouts. The sprouts I bought for him were not sprouted at home. The granola wasn't granola, because it didn't come out of the oven. The eggs weren't fertile. The ice cream came out of a carton. Then I said something foolish like I bet he wouldn't eat gumdrop bread if I made it. That excited him. So I made Irish soda bread with gumdrops instead of raisins. I was redeemed. A year or two later I went to Denmark to visit my granddaughter. She wanted to plan dinner. We walked to her favorite grocery store, a video rental shop with rows and rows of vinegar candy. I thought I was saying no in Danish. Apparently I was saying yes, because she filled two bags with every color candy – except orange???? And it's made with vinegar??? For a veggie she chose popcorn. Of course. I was also a picky eater as a child. It wasn’t until I was an adult and started eating out and learned how to cook for myself that I discovered why. My dear sweet wonderful mother was possibly the worst cook on the planet. Meals were never burned, just barely palatable. I was amazed at how many foods I discovered liked that I thought I hated. I started cooking for my parents when I could, delivering meals and inviting them over (frequently at my dad’s request). Nowadays I will try and eat most anything however I do still dislike most cooked vegetables even though I love them raw. My husband, the omnivore, officially declared that I had lost my picky eater status when we ate street tacos in Mexico on my birthday. (In a village, and who knew everything else would be closed on whatever weeknight that was?) And choosing langostine in France, that I had to shell myself? Not a problem. But I still draw the line at food served on the bone, including the sacred fried chicken and ribs. Oh, very clever, dear Leslie! You can have mine, no question. But--no lamb chops? No rib roast? Not a picky eater. I will try almost anything. I don't care for liver but I ate it at a friend's house for dinner. Mom taught me to be polite. I tried oysters and clams, but not my thing. I eat venison and buffalo. I do have a lot of food allergies so I have to watch shellfish now that I'm older. In general, I love food. Oh, and unless any of you are planning to invite me for dinner and I have to polite, I'll skip the liver balls, thank you. Oh, Pat, I know..a delicious meal is just..so wonderful. Tonight we are having lemon-dill salmon and haricot verts. (Sorry anti-green bean and fish people.. I've never been into fruits and vegetables much but sometimes I try to eat them. I'm more into fruit now. I don't like any kind of melon though and I tried some. I love meat and potatoes. Macaroni and cheese is good, especially Velveeta Shells and Cheese with Bacon. I'm not into seafood and will only eat canned tuna, no other fish. I like tuna sandwiches. No sushi or unusual foods for me. I don't like mushrooms, they look slimy. I love eggs: fried, scrambled, or an omelet. Fried egg sandwiches with mustard. Pecan pie is good. 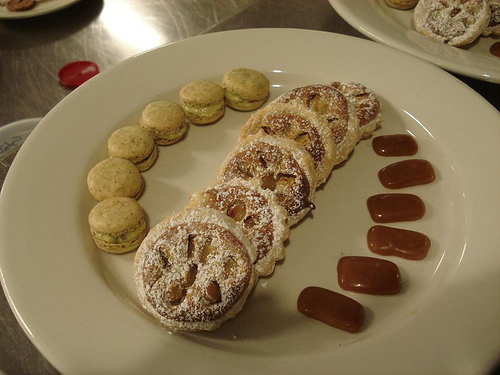 I have a recipe from French class in high school -- Tarte aux Nois. I used to eat liver and onions when I was a kid and the Big Boy restaurants used to serve it. My mother asked about it in the restaurant and the server said she hadn't ever seen it on the menu. I went to their Facebook page and mentioned that and they said they had no plans to put it back on the menu. Guess it's an acquired and not popular taste. I probably wouldn't want to eat it again. In my extended family I have a reputation for being willing to eat almost anything. As a kid,I was a picky eater until after my tonsillectomy. Suddenly, food had TASTE! I almost had a bottomless stomach, except for a few things. Some meat items I hated as a kid and still have trouble eating include lamb and beef. I cannot stand the feeling/texture of steak in my mouth, and roast beef can almost turn my stomach. Lamb is okay if highly seasoned or drenched in some sort of spice-laden sauce...anything to mask the taste. Otherwise, I feel like I'm eating someone's wool sweater. When I was quite young I loved brussels sprouts, then hated them, then began to love them again when I was in high school. I can eat them every day and prepared in any way. Things I first tasted as an adult and will probably never eat again: anchovies, calamari(YES, it DOES taste like rubber bands),okra,oysters. I have never had any desire to try sushi. I like tofu. The relatives think I'm nuts. If anyone can't get rid of pecan pie, I will be happy to take it off your hands! And if it is CHOCOLATE pecan pie, I may break into your house to get it! My nephew was a picky eater - it was either dumplings or a peanut butter sandwich. Now he's always willing to try new foods - my brither says the good news is they don't have to be picky abourt restaurants - the bd news is the tab is always higher now. My mother's attitude was either eat whay she prepared or go hungry. has something to do with the texture. MIchelle--fried egg sandwiches with mustard? Hmm. Strangely, that sounds delicious. On rye toast? DebRo--I definitely go on food binges, too. One year, seriously, I ate only baked potatoes with broccoli and sour cream for dinner. I CRAVED it. ANother span of time, I finally od'ed on sesame bagels with strawberry jam. EVERY DAY..and then--yuck. And I do agree with you about the rubiks cube, too. Incredibly scary. MAry, the "eat what she prepared or go hungry" theory--what do you all think of it? Seems to be a common (and successful) one! As youngsters, we were expected to eat at least a couple mouthfuls of whatever was on our plate. I remember having a particularly difficult time trying to eat steak. I was around eight at the time and quite thin (obviously this was before the tonsillectomy!) My parents told me I HAD to eat a couple more bites of it and that I needed to try to eat more, in general, or I would turn into a skeleton. It was winter and I had dry, flaky skin. I thought the flakes of skin meant it was too late, and I was already turning into a skeleton! This scared me so much that I totally lost my appetite. I hoped my parents had not noticed that my bones were losing their covering and I wondered if they knew that they were already losing their daughter? And the winner of THE WRNOG GIRL is--#36! Who is...Denise Ann! Email me at h ryan at whdh dot com with your address! Hurray! xooo night all..tomorrow a fabulous debut author who got an amazing shout out at Malice--and we'll talk about our --well, we all had them. See you in the AM! Oh, yes...the milk was poured on AFTER the oatmeal was made. It just made the entire thing look even less appetizing. Yes, Hank, I live here in Italy all the time. I've been here in Rome for 11 years, but I had lived in Italy when I was younger as well.